Ultra4 Racing will be returning to Kentucky for the 3rd annual Battle in Bluegrass taking place July 20th and 21st at Dirty Turtle Off Road Park in Bedford, KY. Expect to see no holds barred racing from all classes as the season is well on its way at this point in the year! It is also a chance for 4400 drivers to qualify for the 2019 King of The Hammers. If you’ve always wanted to see ULTRA4 Racing up close and personal, this is your chance. The Dirty Turtle Off Road Park provides some great views from the short course and even some opportunities to get into the woods and get a closer look at some of the best Ultra4 drivers take on some of the park's gnarliest obstacles! The Southern Rock Racing Seies (SRRS) Rock Bouncers will be joining ULTRA4 for a shootout after racing on Saturday night for a shootout similar to 2017. Keep your eyes out for more info on this soon! The course is expected to be 3-5 miles in length. Dirty Turtle’s race features an extensive short course; tight, wooded sections and hill climbs. There will be one hot pit available during the race. There is dry camping available starting on Thursday and will be free for teams. Use of the shower house is $5. 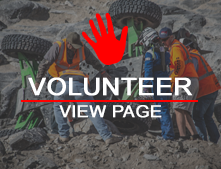 There will be a shootout post race ,just like last year, any ULTRA4 cars that wish to participate may do so by logging in and selecting the shootout registration option below. Remember that you MUST mention that you will be staying for the Dirty Turtle event to get these prices. They will only be valid for that weekend. Please Note: For those towing to Dirty Turtle. We strongly recommend taking Highway 421 and avoiding Highway 42. Depending on the direction you are traveling from, 421 may be a few extra miles, but is much easier on equipment than the hills found on 42. All Entry fees must be received by July 10th, any entries after this date will be subject to a $100 late fee. 1. Pay for a single race - login with your driver profile then please select your class under racer at this link and hit "register now" to pay the single race price. If you are wanting to register for the shootout, please select shootout as your class. Transponder rental fee TBD shortly! Please note that these prices are special pricing. 9AM - 2PM Driver Registration.in Dirty Turtle office. Park open for trail riding/ course inspection. 2PM Driver Meeting before qualifying in hot pits – all qualifying drivers must attend!